It’s that time of week again! It’s time to look back over the past week to see what’s been buzzing in the Ninty world. It’s been a pretty ‘interesting’ and quiet week this week. It started off on a rather depressing note, though in the end it turned into something rather beautiful. Check out the top news of the week after the break! Monday turned out to be a dark day in the Nintendo and gaming world as it was announced that Satoru Iwata unfortunately passed away on the Saturday. For those of you who do not know, Mr. Iwata was the president of Nintendo since 2002. Before then, Iwata was an important member of HAL Laboratory, helping HAL create a strong relationship with Nintendo as well as working on games such as Balloon Fight, Earthbound, and Kirby. His passing brought out the best in both developers and gamers. 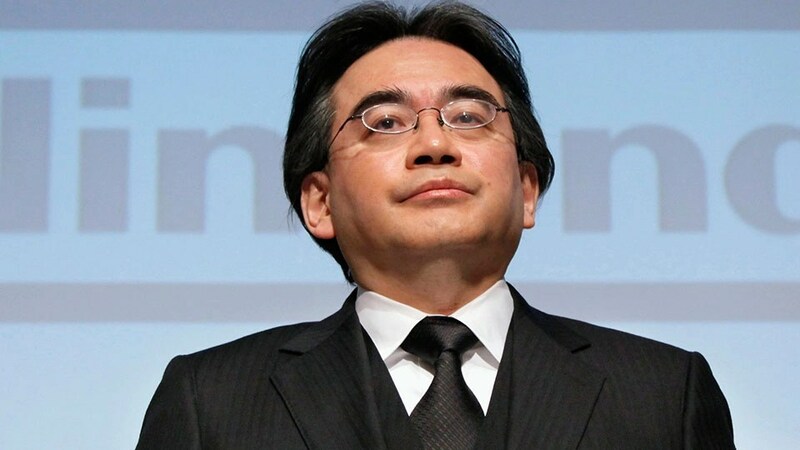 Many developers, including those Microsoft and Sony, sent their condolences to Iwata’s family and Nintendo. Many gamers across the globe also gave their condolences on social media, including some fantastic art spread across Miiverse and other social platforms. The Nintendo World Store also had a special section for members of the public to sign their condolences in a guestbook. According to the Wall Street Journal, there were thousands of people attended two days of funeral services for Iwata in Kyoto. Iwata will surely be missed, though I have never met him, it feels like I have known him forever as he was a big influence for part of my childhood. More new content was released for Splatoon this week. The beginning of the week saw the release of the Moray Towers map. As Nintendo states, Jump down through all the hairpin turns in a single go, and BOOM—you’re right on the front lines! You’ll have to make your way up a series of sloping paths to get into enemy territory. Look for spots to swim up walls to flank your foes and take them by surprise! That’s not all, it was also recently announced that two new weapons will be added later today/tomorrow. These are the NZap 89 and the Octobrush. Not much has been said about these weapons, but I think it is safe to assume that the NZap 89 will be very similar to the 85 but with switch out subs and maybe slightly altered stats, and the Octobrush looks like the Inkbrush but with a wider spread and possibly the Kraken Special Weapon. Finally, it was also announced that a brand new Splatfest will be taking place this weekend in both North America and Europe. In North America, the teams will be Roller Coasters vs. Water Slides, and Europe’s teams are Eating vs. Sleeping. Be sure to pick wisely and best of luck splatters! About a year ago, Nintendo of America allowed customers to redeem Wii U eShop codes through web browsers. This meant that if you were out and about while purchasing a download code for the Wii U, you could easily redeem it through your phone so it could instantly start downloading onto your console, reducing the need to wait longer at home. It seems as if Nintendo has finally unlocked this feature for European customers. You can access the redemption page here! There are some pretty awesome and weird arcade cabinets out there, though I think this one takes the biscuit (though there are probably weirder). 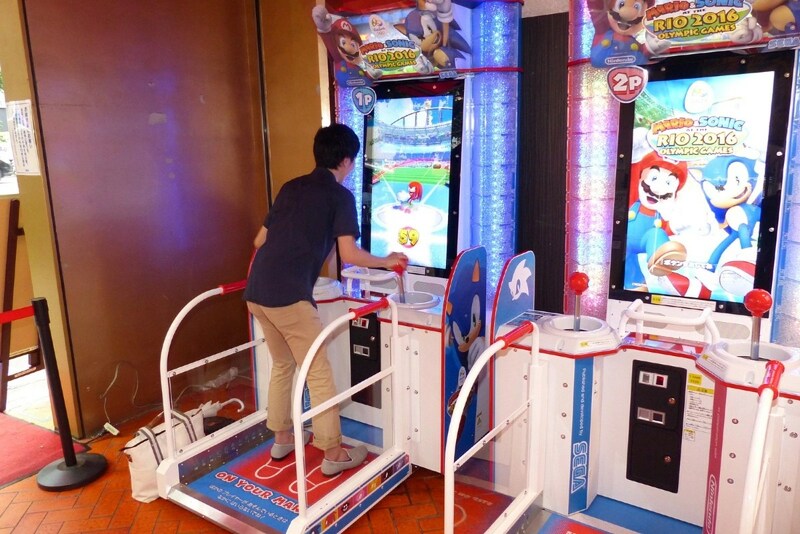 It seems as if SEGA are releasing an arcade version of the upcoming Mario and Sonic game. In the pre-release version, it includes the 100 metre dash, archery, hammer throw, and javelin, with more sports to come in the final edition. The cabinet includes two giant joysticks with buttons on the side, foot sensors, and a handrail. Check out what it looks like at Perfectly Nintendo. This week has been pretty hectic at my outside job, therefor I wasn’t able to keep up with the news so well, hence the low amount of coverage in this week’s NintyNews. As an apology, I will be making the exciting announcement I teased the other day later today.